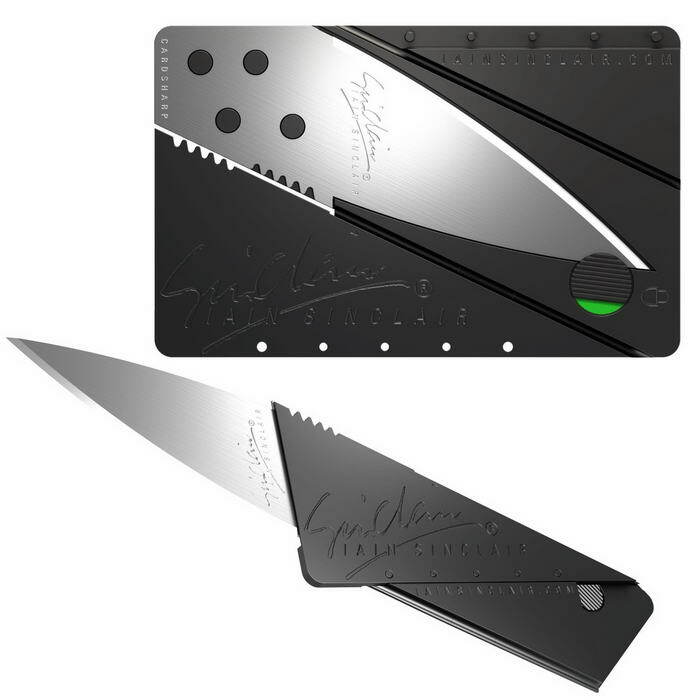 CardSharp2 – a superlight and supersharp utility knife, the same size as a credit card. Just three ingenious folding operations metamorphosise the card into an elegant pocket utility tool. 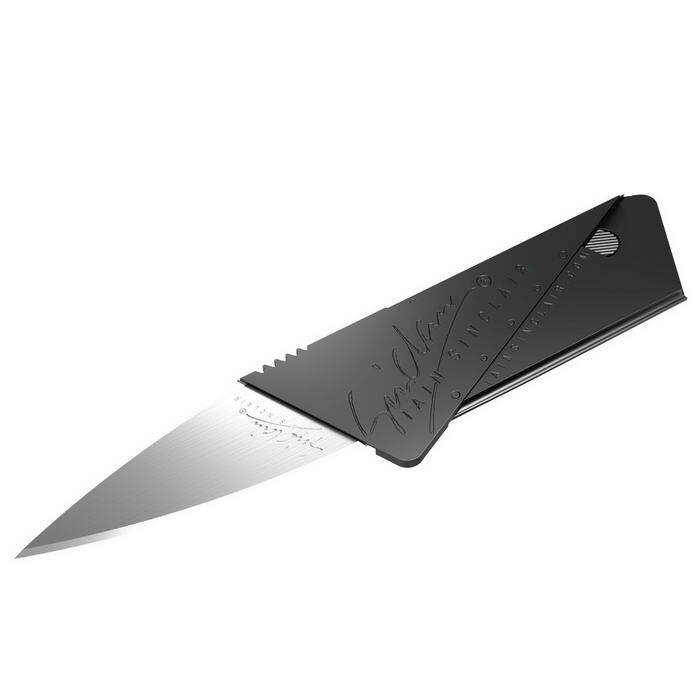 Slimmer and lighter than an ordinary knife, updated features include a stiffer, polypropylene body (living hinges guaranteed for life) and a unique safety lock (cannot open in pocket or drawer and is child proof). The extra long stainless steel surgical blade ensures longer lasting rust free sharpness and the superlight polypropylene body includes a built-in protective sheath that helps prevent injury or blunting. 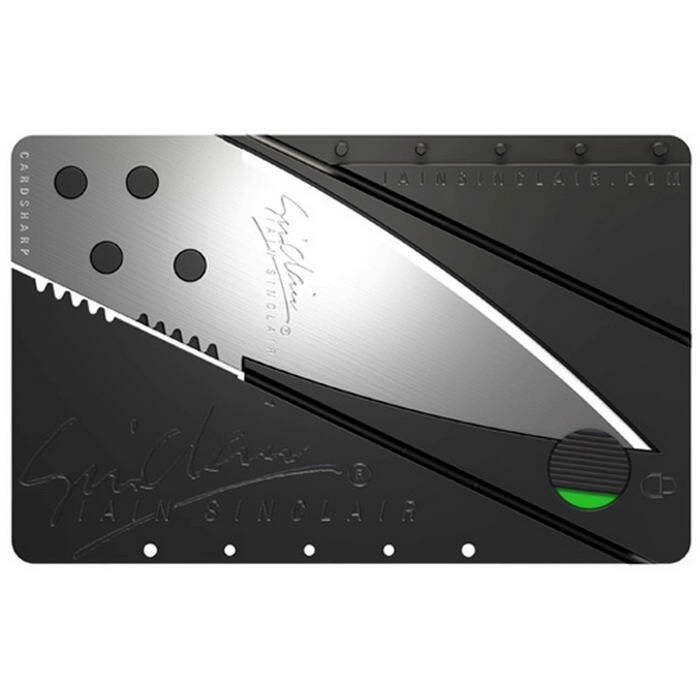 up here Credit Card Sized Folding Knife | Giftfolder. come across like coming from brain dead people?